Though Tunisia holds several international airports, most international travelers access the country through Tunis-Carthage Airport outside of the country’s capital, Tunis. If one is particularly careful with their money, Tunisia can be traveled with $30 a day, though a more comfortable budget might be $45 per day. Tunisia gets extremely hot, with averages temperatures around 30˚C (90˚F) in the summer and 10˚C (50˚F) in the winter. Most tourists come between October and May, when temperatures are slightly more favourable. Handmade clothes, pottery and nesting dolls are often considered the stereotypical Tunisian souvenirs. Tunisia is Africa’s northernmost country; it borders the Mediterranean Sea to the north and Libya and Algeria in the south. Only about 100 miles sit between Tunisia’s coastline and the Italian island of Sicily. Because of its proximity to the Mediterranean, Tunisia is filled with various glitzy resorts, which draw the majority of its visitors. However, a growing number of travelers find themselves attracted to Tunisia’s numerous archaeological wonders and unique landscapes. The city of Carthage has particularly stepped up as an archaeological attraction. Carthage was the central point of the Carthaginian civilization. This important empire ruled over much of the Mediterranean area from 600 – 200 BCE and were major competitors with the Greek civilization. Ultimately, the Romans took control of the Carthage civilization, and Tunisia became an important trading and agricultural resource for the Roman Empire. During the Middle Ages, Arabic Muslim forces took control over the country. Various Arab groups held control over Tunisia for many hundreds of years, and even today the country holds a strong Islamic presence. 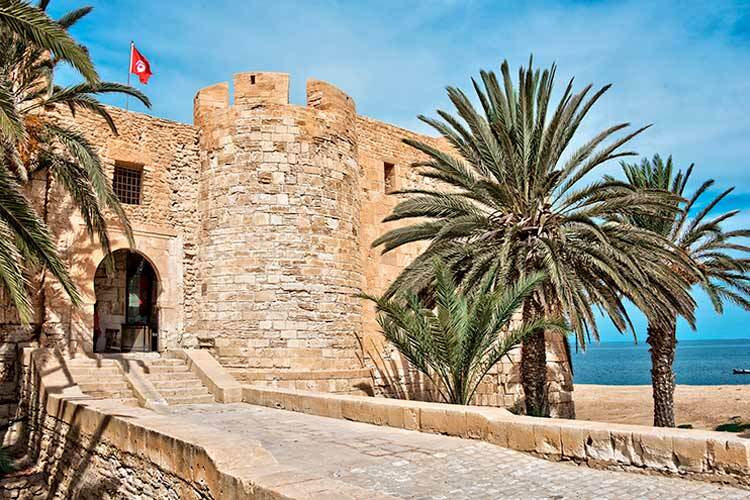 Interestingly, Tunisia’s coastline also became a haven for pirates during the 1500s. However, most of the pirates and Arabic forces were forced into Spanish rule, but were quickly taken again by the Ottoman Empire. The Ottoman’s held control over the region through much of the 1800s, but unfortunately Tunisia struggled to modernize as quickly as the rest of the Ottoman Empire. Its efforts to do so left the country with such a massive international debt that the country had to declare bankruptcy in 1869. After this, the French took control over the country, whom held control over the country through WWII. In 1956, the country earned its independence, though it was ruled by an extremely oppressive one-party regime until 2011. In fact, the Tunisian government during the late 20th century is widely considered one of the most repressive governments to have ever existed. Following the Tunisian revolution of 2011, the country experienced a few years of economic and cultural growth. While the political situation is definitely much better for tourists now than ever before, the country still struggles with religious and political conflict, largely due to a handful of jihadist extremist groups that constantly vie for power. However, ample research makes it obvious which areas of the country are suitable for travel, and tourists should have no trouble finding areas with very low risk. Warning: In June 2015, 38 people were killed on a beach at Sousse, following the deaths of 20 tourists in March. Travellers should exercise caution when traveling to Tunisia, especially in high volume tourist destinations. The ruins of Carthage are just a few miles north of Tunis, and they definitively one of the best historical sites in all of Tunisia. Carthage was the centre point of the Carthaginian civilization, whom battled with the Roman Empire numerous times. Most notably, the Carthaginians sent famed general Hannibal to cross the Alps to battle the Romans. Over the next century, the Romans pushed Carthage’s influence back, and they eventually destroyed the city. However, they rebuilt the city a century later as their North African capital. Many ruins from both periods of its history exist. 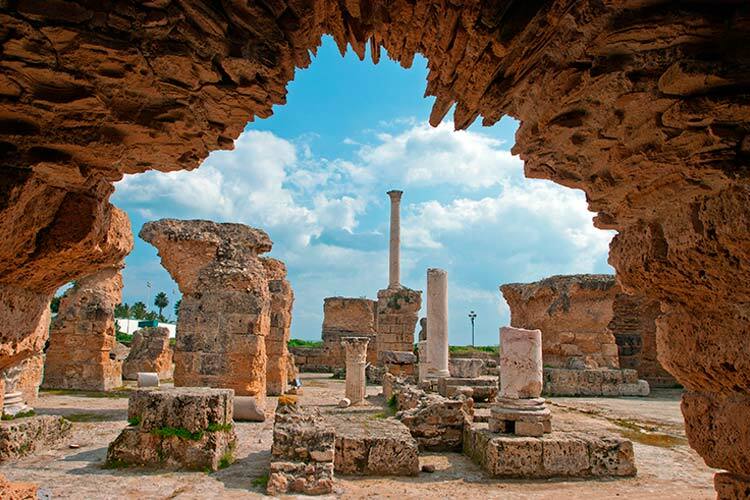 Additionally, many of Tunisia’s most wealthy residents live near the ruins, including the President himself, making sightseeing in Carthage’s modern areas just as interesting as its historic. Many people view Tunisia as simply a beach destination, and while that’s certainly not all the country has to offer, it is true that its coastlines are nothing short of gorgeous. The island of Djerba is one of the more popular places to experience Tunisian beaches. 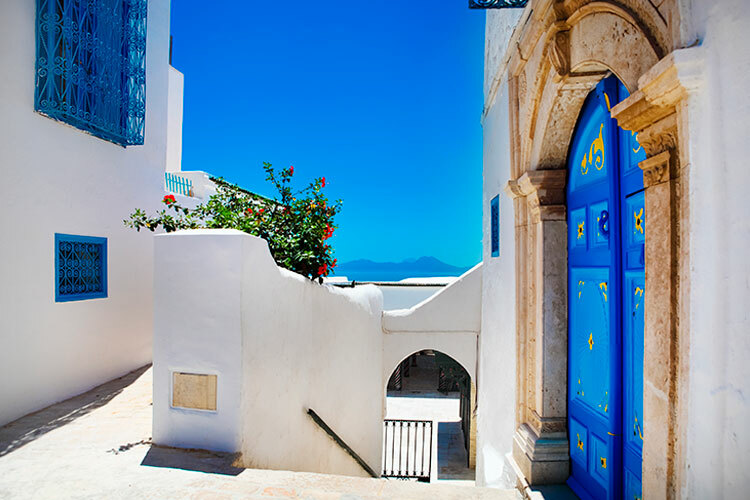 The island has several examples of classic domed Tunisian architecture with an island flair. Additionally, Djerba contains the infamous Djerbahood. This unique project brings together street art and debris into a small neighbourhood. Basically, the area is flooded with trash, debris, and building pieces, but scattered into its nooks and crannies are hundreds of gorgeous pieces of street art. A visit to Djerbahood will allow travelers to acquaint themselves with the artistic identity of the people of Djerba in a wholly unique and fascinating way. 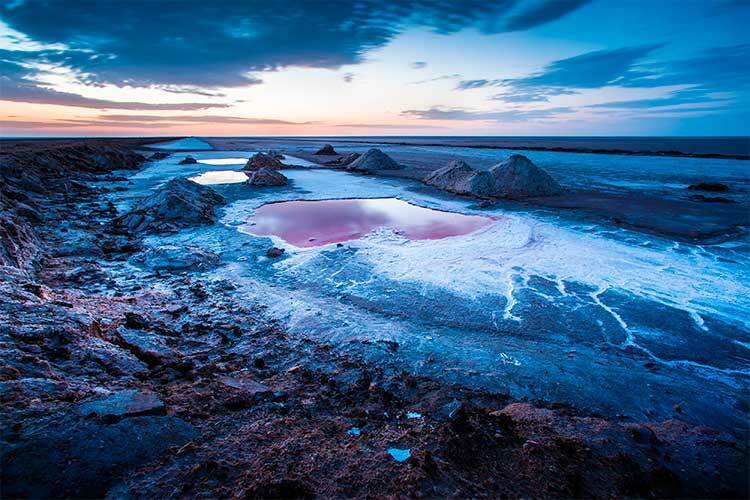 Though many travelers come for Tunisia’s beaches or history, a growing number have become interested in its unique desert ecosystem. The Sahara Desert occupies a great deal of Tunisia’s acreage, and its sandy dunes look like something straight out of a movie. Picture an endless expanse of slithering sand piles, shimmering under the intense heat of the sun. The Grand Erg Oriental is one of the more accessible and beautiful sections of the Tunisian Sahara. In addition to hiking, camels and dune buggies are available for rent. 1) Bizerte, a city in extreme north Tunisia, has been largely spared from the tourist treatment. The city holds a fascinating Spanish fort, which contains antiquated cannons and beautiful panoramas of the city. In contrast, check out the Kasbah, the ancient Arabic quarter. This section of the city feels straight from the past. 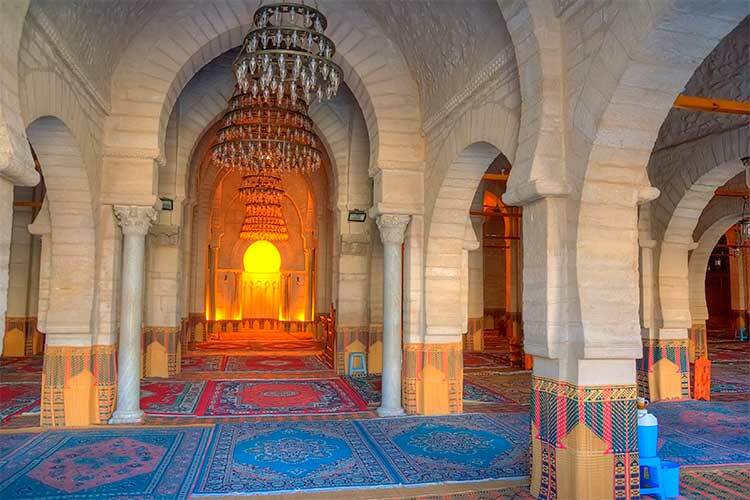 2) Tunis holds numerous important sites, but most travelers will want to see Zitouna Mosque, the largest and most important mosque in all of Tunisia. The city also contains Bardo Museum, a massive collection of art, historical artifacts, and other cultural treasures dating from Tunisia’s prehistoric times to present day. The museum is housed in a beautiful 13th century Ottoman palace. 3) Sousse’s medina is definitely worth exploring, as it contains nearly all of the city’s tourist sites. Be sure to see the Great Mosque and the Mosaic Museum. After spending time meandering through the medina’s maze of streets, relax at one of the authentic Turkish baths, known as a hamam. 4) Just south of Sousse sits Port El Kataoui. While this enormous tourist compound definitely won’t give travelers an authentic Tunisian experience, it does offer extreme luxury and world class facilities. Play a round at Port El Kataoui’s golf course, one of the country’s best. Then, head to the port for some boating, shopping, or drinking (ideally a combination of the three). 5) We’ve already mentioned Djerba’s beautiful beaches and the intriguing street art project Djerbahood, but the island has lots more to offer. For instance, the city’s souk and port area are filled with street vendors and delectable eateries. Additionally, the city contains Djerba Explore; this unique exhibit offers access to a traditional village, large museum, and an enormous crocodile farm for a cheap fee. 6) Though Tataouine features an interesting abandoned Berber town and a handful of other historical sites, there’s no denying that its connection with the Star Wars franchise has helped its prominence. 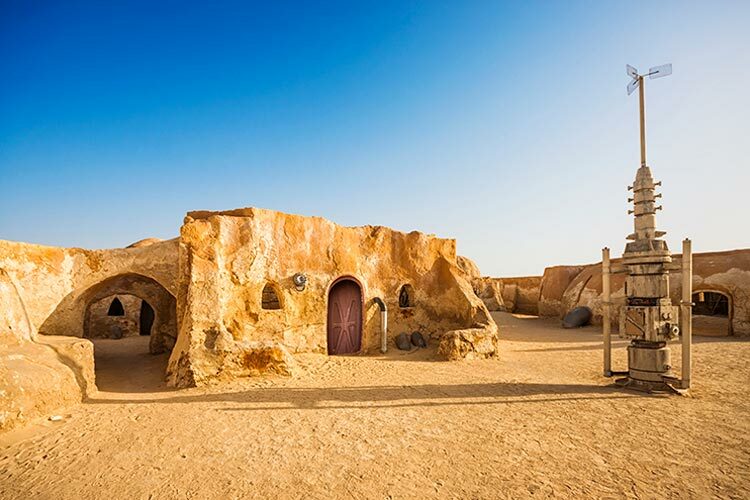 Though most of the filming was done in a nearby town, Tataouine’s name and most famous structure, Ksar Ouled Soltane, do appear in the Star Wars films. However, Ksar Ouled Soltane would have been a fascinating structure without the film connection, as it is one of the world’s best examples of a preserved granary. 7) The Grand Erg Oriental in Tunisia is mostly shifting sand dunes, but there are a number of oases scattered throughout the region. Many tourists take a dune buggy or jeep through the desert, hopping from village to village and stopping at some of the larger, more touristy oases. 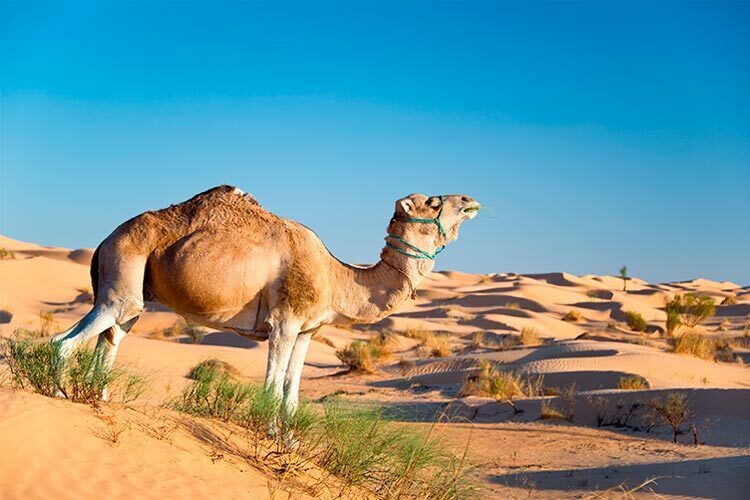 More adventurous travelers may also opt to make the trek on camel.